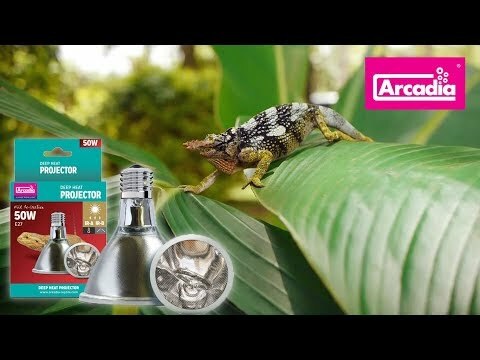 On the Web - The Arcadia Reptile Deep Heat Projector is now available in the US and Canada in 110v. This is the only lamp that produces the terrestrial wavelengths of IR being Infra-Red-A and Infra-Red-B. It pushes bioavailable energy deeper into the dermis than any other heat source. It is also very energy efficient and has a much longer life than standard tungsten or halogen heat lamps. Click the big green arrow below to learn more. YouTube - Learn about Arcadia Reptile’s ‘EarthPro’ range of all natural foods and supplements—a balanced solution for feeding pet reptiles and amphibians for maximum health and captive keeping success. Ball-Pythons.net - A member is looking for a source to buy the new THG heat tape in Canada.